The Center for the Study of Islam and Democracy organized a summer youth university titled « Values ​​of Moderation and Tolerance in the Face of Violence and Extremism: from Training to Awareness-Raising » on July 14-18, 2018 in Laico Hotel, Hammamet. 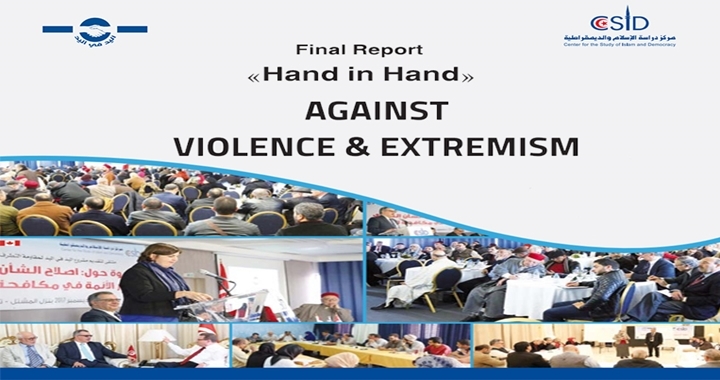 The event, part of the Hand in Hand project to combat extremism and terrorism, brought together over 90 imams and young civil society activists from Bizerte, Greater Tunis, Kairouan, Kasserine, Sfax and Medenine. 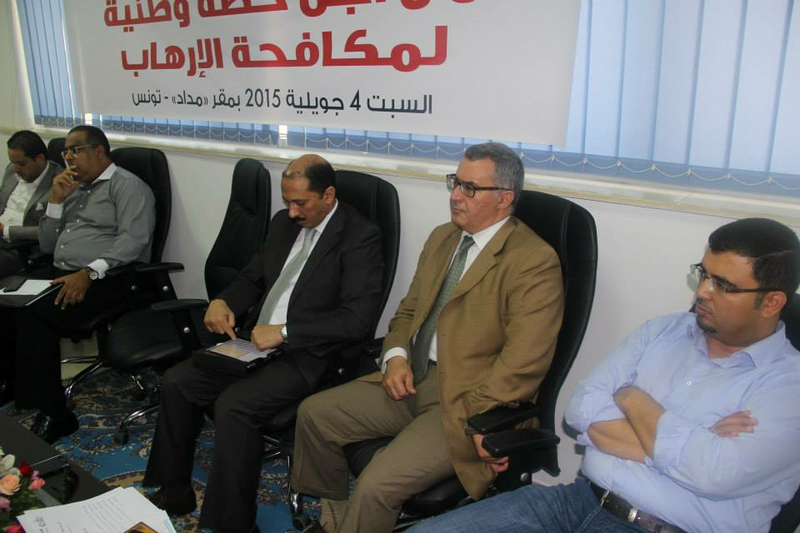 The summer universityalso attracted a number of national figures, including Dr. Chawki Tbib, head of the National Anti-Corruption Authority, Mr. Mounir Tlili, former Minister of Religious Affairs, university professors, and experts in sociology and psychology. The University’s summer activities were launched on Saturday July 14th, with a welcome speech by Dr. Radwan Masmoudi in which he stressed the efforts by the Center for the Study of Islam and Democracy to galvanize the role of religious actors in general, and imams in particular, in addressing various issues such as extremism, terrorism and corruption, and other phenomena that threatenthe wellbeing of Tunisian society. He explained that the Center isworking to raise awareness among local religious actors of these dangers, and of the need to spread Islamic values ​​such as mutual respect, tolerance, moderation, rejection of violence, as well as establishing a moderate and persuasive religious discourse capable of confronting extremism and terrorism. Dr. Masmoudi also stressed the important role of youth and the need to involve them at all levels to create dialogue and develop communication between young people and adults, in order to build a strong society and a better future for Tunisia. 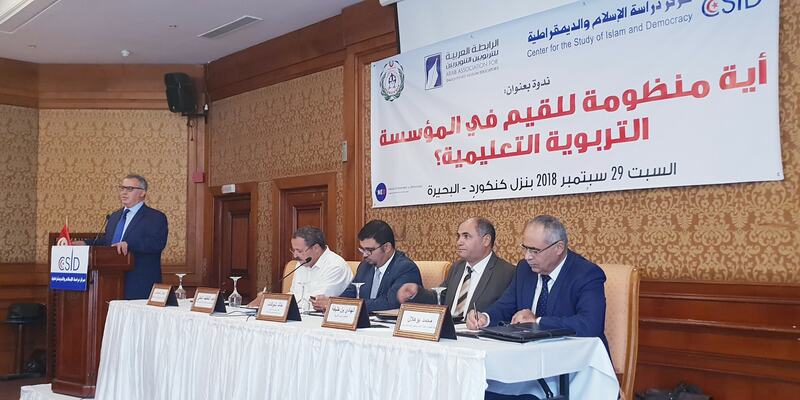 Mr. Masmoudi explained that the Center had trained more than 400 imams in 2017 across five Tunisian regions, developing theirskills and knowledge in the fields of citizenship education, conflict resolution, diversity management and communication. Finally, he called on the participants to work together to plan the Hand in Hand project’s awareness campaign, to be implemented over the next two months. The campaign seeks to inform all stakeholdersabout the project and its objectives, which are:to strengthen the role of local religious actors in addressing violent extremism and train them on communication, conflict resolution and citizenship education; to confront the rhetoric of violent extremism by developing and disseminating contemporary, moderate and persuasive Islamic thought; and to raise awareness among the public, especially youth and families, about the threat and dangers that violent extremism represents and enable them to identify the behavioral indicators of extremism. Mr. Mohammed Ben Ali, representative of the Ministry of Religious Affairs, presented the Ministry’s work to support the Hand in Hand project. Mr. Ben Ali stated that the Ministry is very satisfied and proud with its partnership with the Center for the Study of Islam and Democracy since 2014. He also spoke about the importance of imams and preachers and their strategic role in educating society, developing religious discourse, and supporting theGovernment’s efforts to counter extremism and terrorism. The opening speech was followed by a presentation by Dr. Hmida Enneifer, Chairman of the Project Steering Committee and Dr. Mohammed Chtioui, Director of the Center for Research and Studies on Dialogue Between Civilizations and Comparative Religions. Mr. Enneifer highlighted that Dr. Masmoudi’s welcome speech had presented a different approach to combating extremism and terrorism through the establishment of a religious discourse that is in harmony with national culture and customs. He stressed the need for preachers to have a sound understanding ofIslamic sciences and scholarship, in order for them to be able to connect it to the reality of Muslims. Mr. Chtioui pointed out that severalexperts had participated in this pioneering project from across thehuman and social sciences and psychology, as well as officials, practitioners and preachers working in the field of religious education. He emphasized that the project had beenenergized by the input of young people, who had contributed tomaking sure it reflected and responded to real needs, and to achiving a significant evolution of alternative religious discourse. Mr. Enneifer and Mr. Chtioui agreed that the guidelines produced by the projectencourage those involved in the religious educationfield to innovate and evolvebydeveloping a balanced religious culture that enables them to arrive at an alternative religious discourse in both form and substance. From the third day onwards, participants were divided into four groups. Two groups received training over two days on managing differences and resolving conflicts with Sami Belhaj and on advocacy with Saber Jmaii. The other two groups received a one-day training on public speaking and communication with Awatef Nablia and on techniques for using social networking sites with Sabri Dridi. The two-day training course was divided into two parts. The first section was an introduction to the phenomenon of conflict and how to deal with it. The second section focused on facilitation, highlighting its importance and mechanisms to make community dialogue a shield against extremism and violence. The aim of the training was to raise awareness of the importance of understanding, analyzing and resolving conflict from the perspective of civil society through meaningful and constructive dialogue and discussion, and to establish the concept of consensus-building in the minds of the participants in order to create a generation that believes in peaceful coexistence and dialogue as a strategy for living together and guarding against various threats to social wellbeing. The one-day course on public speaking and communication focused onfour components: the concept of communication and the components of the communication process;the concept of rhetoric;the elements of an effective sermon; andpublic speaking techniques. The training course aimed to enablethose involved in the religious education field to present their ideas with clarity andpersuade their audience using evidence and clear arguments. These skills are critical to dismantling the very foundations of violent discourse and promoting an alternative discourse based on scientific-based approaches and strong communication skills. Advocacy is the process of supporting and promoting a cause to make a change to a particular issue. The training course on advocacy campaigns took place over two full days and covereda number of areas: first, the concept of advocacy; secondly, strategic planning for advocacy; thirdly, identifying the elements of advocacy; fourthly, advocacy and relationship building; and fifth, follow-up and evaluation. The training workshop focused on the basics of advocacy campaigns and their various stages. The training course on advocacy aimed to develop the participants’ knowledge and understanding of advocacy and how to conduct advocacy campaigns by identifying the key elements of advocacy and understanding its strategic phases, andhow to manage relationships with different stakeholders through networking, alliance-building, sharing of experiences and partnerships. The training focused on introducing social media technology, explaining how media and current affairs are covered on social networking sites such as Twitter, Facebook and YouTube, and highlighting the importance of presenting and promoting content in order to have the intended impact on the audience. 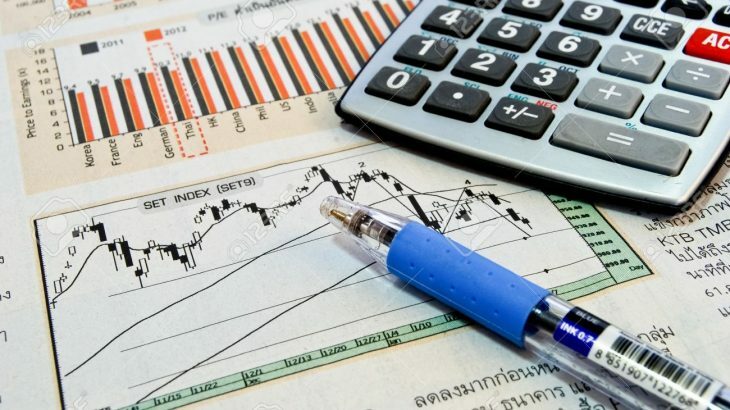 The training also showed participants how to present ​​ordinary content using innovative or surprising ways in order to attract the public’s attention. The courseencouraged participations to think about changing the way they prepare and present their Friday sermons, and how they can use social media to promote and disseminatea new religious discourse, especially through Facebook. The training course aimed primarily at imams was intended to raise their awareness of the importance of communicating online with their audience of mosque goers. This will enable them to communicate their views to the largest possible audience, with the newpossibility of discussing the contents of Friday sermons and changing thembased on feedback. Thus, imams can be more effective and in touch with their audience in order to convey a moderate and appealing religious discourse fit for this day and age, which is able to challenge radical and violent discourse. On the first day, the activities of the summer university began with an evening intellectual symposium, which included a presentation on the concept of jihad in Islamby Dr. Mounir Tlili, professor at Zaytouna University. This was followed by the presentation and discussion of a short film titled « No to Terrorism » and a presentation by Fathi Touzri, a doctor in psychology, onearly behavioral indicators of extremism among young people.During the first session, Mr. Tlili referred to statistics from a survey carried out by the Prime Minister’s Office in 2014 in cooperation with the Ministry of Religious Affairs. In response to the question, “What do you think about jihad?”, 43% said there is no place for jihad in this day and age. 35% supported defensive jihad against occupation. 16% said they would be ready to respond to the call for jihad to fight against injustice,the majority of whom were men and youth. 75% of these were from urban, not rural, areas, and 55% had not studied at university. Mr. Tlili stressed that the concept of jihad is not clear in the minds of Tunisians due to the failure of religious institutions to address misunderstandingsand the failures of the educational system, which does not explain the concept properly. On the morning of the second day, a seminar was organized on the role of imams in the fight against corruption. The speakers wereDr. 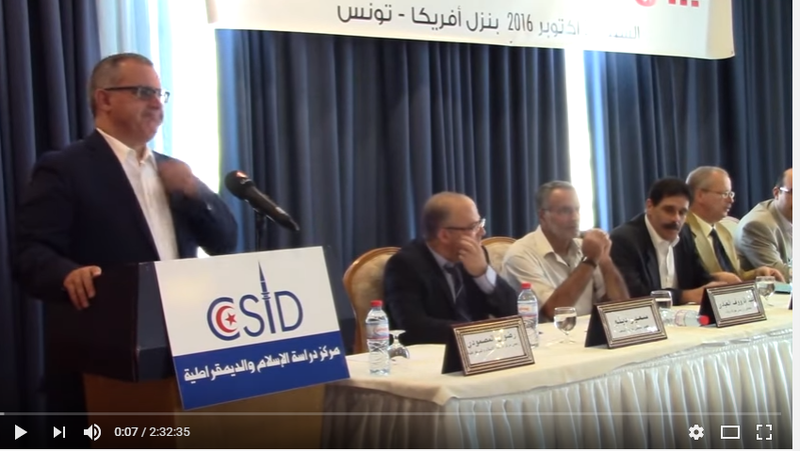 Chawki Tbib, head of the National Anti-Corruption Authority, Mr. Ibrahim Missaoui, head of the Tunisian Anti-Corruption Association and Mr. Mohammed Chtioui, head of the Center for Research and Studies on Dialogue Between Civilizations and Comparative Religions.Dr. Chawki stressed that corruption is the biggest threat to the Tunisian revolution, even more so than the phenomenon of terrorism. We can fight the latter face-to-face with weapons and equipment but it cannot be eradicated unless we eliminate smuggling and corruption. His presentation focused on how corruption works and the enabling environment that facilitates it. He explained that there are always signs and indicators, andthat the family andstate institutions must have the capacity to detect,analyze and act onin order to ensure an early and effective intervention. Mr. Ibrahim Missaoui spoke about the Law for the Protection of Whistleblowers (law number 10 of 2017), which setsprocedures for reporting corruption and mechanisms to protect whistleblowers who report corruption in both the private and public sectors. He explained that the lawincludes the terms and definitions contained in international conventions against corruption and other definitions, which means that it covers a wide range of crimes. Mr. Mohammed Chtioui began by arguing that imams have the responsibility to evaluate themselves and to educate those around them about the dangers of corruption, because they have a religious responsibility before God and a social responsibility before society. Mr. Chtioui pointed out that Islam seeks to enable human beings to reform themselves and bring benefit to those around them. In his view, an imam who does not have the requisite capacities but clings to his position contributes to corruption, and if he does not seek to improve himself and develop his skills and knowledge, he will bring no benefit to others. He argued that an imam must possess experience and knowledge, and act with justice and fairness in order to have people’s trust. On the evening of the third day, a debate was held on individual liberties, equality and Islam between Mr. Salaheddine Jourchi, member of the Committee on Individual Freedoms and Equality, and Mr. Elias Dardour, head of the Faculty of Sharia and Law at Zaytouna University. The debate began with a speech by Ms. Mehrezia Labidi, member of the Assembly of People’s Representatives, and concluded with a speech by Mr. Mohammed Chtioui, Director of the Center for Research and Studies on Dialogue Between Civilizations and Comparative Religions. The debate centered on three main issues – the development of the family, the concept of morality in public space and equality in inheritance. Mrs. Mehrezia Labidi, thanked Mr. Radwan Masmoudi, Director of the Center for the Study of Islam and Democracy, for organizing such important events and seminars, which she considered to be « a space in which something common is built ». Salaheddine Jourchi pointed out that the report by the Committee on Individual Freedoms and Equality is an attempt to promote individual freedoms,separate public and private affairs, and give greater importance to the individual, who has long been marginalized. He argued that for centuries, Arab and Muslim societies have lived in a historical, cultural and social environment that does not respectindividuality. Mr. Elias Dardour explained that the report by the Committee on Individual Freedoms and Equalityis divided into an introduction and two parts. The introduction addresses the issue of liberties and equality, which he consideredas going against human nature, and as an attempt to manipulate the Islamic text to render it void of any meaning oreffect. At the end of the seminar, Mr. Mohammed Chtioui thanked the Center for the Study of Islam and Democracy for organizing the debate, which provided what he considered a « historical” opportunity for dialogue. He pointed out that it is the role of the Committee on Individual Freedoms and Equality to allowopposing or critical viewsand not to be taken aback by differences of opinion. He wondered to what extent the Committee had managed to strike a balance between the principles contained in the report, the principles in the Constitution and the principles of religion. During the 2018 Summer University, the Center focused on the theme of public speaking and oratory skills in order to enhance the role of religious actors in general, and imams in particular, in tackling violent extremism by adopting approaches and discourses that deconstruct violent extremist discourse and itsstrategies, and reinforcemoderate Islamic thought. Dr. Hmida Enneifer and Dr. Mohammed Chtioui, members of the project Steering Committee, present the project’s guide on model sermons. The guide aims to equipimamswith the tools to free themselves from routine and tradition, and develop an alternative religious discourse. This was followed by a presentation of the elements of a successful sermon by the trainer Awatef Nablia and Mohammed Ben Ali. The presentation set out the steps to follow to deliveran effective sermon. First, the importance of preparing well before speaking, which enables the speaker to communicate with confidence and clarity, manage their speaking time, move smoothly from one point to the next, take into account the type of audience, and understand what they need in that particular context. Improvisation is a skill that only a few experienced speakersmaster, and even they need to prepare key points in advance. Secondly, the importance of preparinga coherent and clear speech. The process of writing a speech involves three stages, from crystallizing ideas andorganizing them to expressing them orally or in writing. Thirdly, familiarity with the basic guidelines for effective public speaking, such as knowledge of the subject matter, clarity and simplicity, training to read as little as possible from the paper, preparation of an introduction that captures the audience’s attention, continuous training in how to control nerves, clarity of pronunciation, switching between speaking softly and loudly toemphasize content, dressing presentably, looking around the room to address the whole audience, and not getting distracted ordiverging from the topic. Following this, the imams participating in the session presented 10 model sermons. These were evaluated by the jury, which included Dr. Hmida Enneifer, Dr. Mohammed Chtioui, Mr. Mohammed Ben Ali and Ms. Awatef Nablia. The judges presented advice on methodology and techniques after each presentation, so that all participants present (both imams and youth) could benefit. The sermons revolved around the following topics: the underpinnings of violent extremist discourse, non-violence in Islam, the rights of minorities in Islam, the status of women in Islam, the ethics of managing differences, and the role of education and upbringing in combatting extremism. Prizes were awarded to the three winners, which were presented during the closing ceremony. On the fourth day, the Center organized an evening seminar on developing Friday sermons, with presentations by Dr. Hmida Enneifer, Chairman of the Steering Committee, Mr. Ali Makhlabi, Professor at the University of Jendouba, and Mr. Ridha Kazdaghli, an expert on media and communication. Dr. Hmida Enneifer presented some key points regarding Friday sermons. He noted the importance of understanding the way in which Muslims view the world, which is linked to understanding what kind of context a preacher or imam comes from. He also emphasized the importance of basing arguments on strong evidence in order for the preacher to be able to persuade others. The preacher must have knowledge and a sense of confidence and pride in their religious tradition,in order to be able to impart this to the audience. Dr. Enneifer also highlighted the importance of careful preparation of all the details of the sermon, as well as presenting them in ways that relate to our contemporary context, in order to make their discourse relevant. If this connection is not made, the speech will remain theoretical without any effect. He also emphasized the need to create an institute for preachers to improve the quality ofsermons and developan authentic and effectivereligious discourse. Mr. Ali Makhlabi highlighted how to write an effective and persuasive sermon. Asermon involvesdeveloping, arranging and expressing ideas. This calls for using strong arguments (examples, evidence, etc. ), and using creativity and sound knowledge to impart ideas accuratelyand clearly. A sermon has to be adapted to the audience, the occasion and the context. He also emphasized the importance of sound arguments. This requires the ability to set out and organize evidence according to the aim that one seeks to achieve. The process of developing argumentsinvolves at least three methods – inductive, explanatory and deductive methods. Organizingone’s arguments means selecting and arranging them in a way thatclearly shows how they relate to each other, so as to make the sermon coherent and ensure that it achievesits goal. Expression is the final stage of the process of developing a sermon, and the most important stage. The speakershould use his tone of voice, body language andmovements to communicate ideas effectively. With regards to the sermon, the preacher must communicate clearly or he will find great trouble in achieving the objectives of his sermon. The content must be clear and written in a simple way that is easy to understand. It is best to avoidhyperbole, to use a tone of voice that is appropriate to the content, and to be presentable and dress in a way that reflects one’s audience. Mr. Ridha Kazdaghli stressed that the Friday sermon is essentially a communicative process. He argued that the imam shouldaim to do four things: holdthe audience’s attention, create interest in the content,make the issues that are raised relevant to the audience, and prompt them to act. Among the advice he gave to imams is to develop personal and interpersonal communication skills and leadership skills. He called for the training of imams and the development of their capacities and their abilities tomanagetheir time and energy. He stressed that imams are opinion leaders, so they must be aware of the important role they are required to play. The Greater Tunis group (Ariana, Tunis and Mannouba governorates) undertook to distribute information leaflets in public places and hold dialogues with young people. 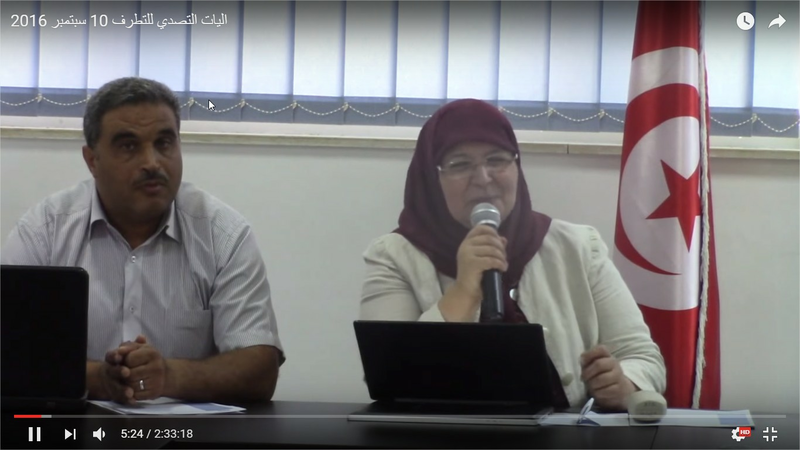 The Kairouan group pledged to broadcast radio shows in which the themes of the leaflets would be presented and discussed in order to disseminate its contents more widely. The Sfax group focused on one of the project’s target groups – young people – through conducting awareness workshops with a psychologist and presenting guidance on how the family, especially mothers, should deal with unusual or abnormal behavior by young people. The Kasserine group proposed the introduction of mosque classes and theater performances to directly reach all target groups. 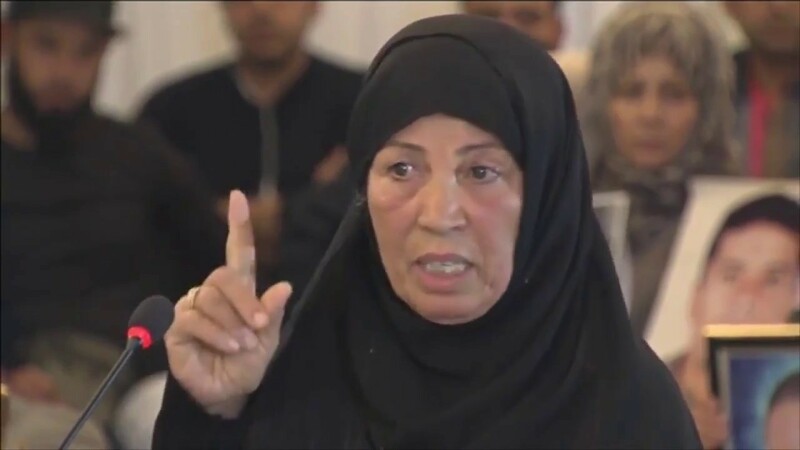 The Bizerte group pledged to set up a Facebook page to reach the largest number of Tunisians possible and raise their awareness ofthe dangers of extremism and ensure the involvement of local imams. The Ben Guerdane group will launch preparatory meetings with imams in four municipalities in Ben Guerdane to prepare a cohesive campaign team including the various religious actors in the region. During the closing session, Mr. Khaled Chawket, a leading figure in the Nidaa Tounes Party, presented a lecture titled “Civilizational Islam and its Role in Building the Individual and the Nation”. He began byarguing that Muslims have always dealt with the challenges of their time by drawing on the Quran and Sunnah, as well as by using logic and reasoning to develop appropriate legal provisions for their societies in order to achieve progress. Muslims today are required to contribute to this effort « in order to furnish one corner in the house of humanity and to achieve a civilized Islam, » as he put it. Mr. Chawket stressed that behavior and etiquette are very important in the attainment of a civilized Islam and its dissemination. Muslims must adhere to the principles of Islam in their daily behavior and contribute to the development of clean cities and organized societiesin which Muslims of diverse backgrounds and perspectives are able to live together in mutual respect, as was the aim of those who builtearly Islamic civilization. Mr. Chawket concluded by calling on imams to call people to adhere to Islam in their daily behavior and in their work, so that Muslims will be role models for each other in the fields of work, knowledge and ethics. Mr. Harsha Siror, political advisor to the Ambassador of Canada in Tunisia, began by expressing his delight at being able to be present at the summer university this year, and the Canadian Embassy’s satisfaction with the activities of the Center for the Study of Islam and Democracy and its contribution to combating violent extremism through the Hand in Hand program funded by the Canadian Government and through the Center’s other programs. He also praised the efforts of the Ministry of Religious Affairs and its contribution to making the Hand in Hand project a success, as one of the Center’s key national partners, by supporting imams and preachers and encouraging them to participate in the project’s activities. Finally, Mr. Mohammed Ben Ali, representative of the Ministry of Religious Affairs, thanked the Government and the Canadian Embassy in Tunisia for their support to the Hand in Hand project and for the Tunisian Government’s efforts to combat violent extremism. He also thanked the Ministry of Religious Affairs, imams and preachers for their valuable contribution to the project. He praised the workof theCenter’s staff, trainers and experts, headed by Dr. Radwan Masmoudi, and called on the imams and young people present to apply what they had learned in terms of skills and knowledge during the training sessions and discussions to spread the values of tolerance, moderation, mutual respect and rejection of violence.